Shillingstone’s wonderful Village Hall welcomes you. Here you will find details of what’s going on at the hall, hire charges and a calendar. The Hall is a charity, and run by a committee of dedicated (and highly prized) volunteers. Our remit it to ensure that the village has a community hall that can cater for all types of need, be it dance lessons or a party or a theatre show. 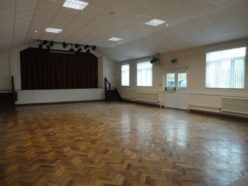 It has a fully equipped kitchen, a beautiful parquet dance floor, a carpeted meeting room and a fully working stage complete with dressing rooms. The hall was built in 1956, and although the exterior is looking dated, the interior is lovely and very versatile. 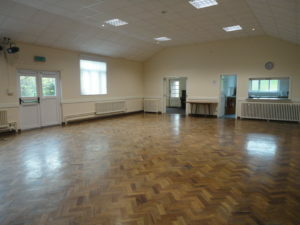 It is used for many different functions – birthday parties, musical evenings, theatre shows, but is also used for band practice, dance classes, meetings, local clubs and art classes. Rates of hire are very reasonable, and the caretaker/secretary will be happy to make your experience at the hall as pleasant as possible.